Headquartered in Fargo, North Dakota, Aldevron maintains direct access to local university talent, a favorable cost structure, and a geographically central location for our expanding service organization. Combining best-in-class quality systems with the ideal operating environment has resulted in the industry’s most compelling service organization, competitive with any other offering across the globe. Whether you are looking for contract services, products, or an ongoing partnership, Aldevron’s mission is to find customized solutions to your needs, regardless of scale, complexity, or scope. Our goal is to say “Yes” to your request and provide maximum value to your research, preclinical, clinical, and commercial needs. We encourage our clients to bring any project or idea forward. We have even provided working capital in situations where mutual benefit is clear. If Aldevron can’t help service your needs directly, we’ll find someone who can. 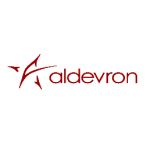 Aldevron is proud of its well-earned reputation as a true partner and is committed to direct, honest, and open communication. We understand that the relationships we forge with our clients will ultimately determine our mutual success.